If you are considering redecorating or updating your home, don’t forget the lighting. What’s the point of having a beautifully designed space if you’re sitting in the dark? Lighting is one of the essential elements of a room and can impact how everything else—from the wall color to the art to the carpet —looks. That’s why it’s crucial to plan your lighting design early and consider all the sources of light you’ll need, whether its wall lights over the sofa for reading, an eye-catching chandelier that illuminates the whole room or natural light. Good lighting for the home will set a relaxed mood, make us look great, and provide ample light for performing tasks. Here are ways to light up your home and create light spaces even in dark rooms. It’s a long post so grab a coffee and read on to the bottom to see how you can light up your home. Heavy curtains and window coverings and absorb precious natural light. Removing dark or thick curtains will add light into your dark rooms. Lightweight fabrics and light colors both help to preserve natural light. If you want draperies for privacy, use sheer, light fabrics. Dark fabrics absorb light. If you like better a flush, minimalist look, check out the best top down bottom up shades. They protect your privacy and control the amount of natural light into your room. Depending on your budget you can get faux wood blinds, which are less expensive but do the job, which is all that matters. Using objects like acrylic clear furniture, mirrors, brass candlesticks, silver photo frames, gold door knobs, brass lighting, or chandeliers, should be part of your decorating strategy since they help to bounce light around your room. If you have had liquid flow screeding installed to create a concrete floor, then get them polished to a high sheen, to give that ‘mirror effect’ finished. Use a trusted concrete polishing contractor to ensure a quality service is received. Large wall mirrors are an ideal decorating touch; and there are a lot of styles to choose: Venetian mirrors, sunburst, beveled mirrors or antique mirrors. Paint ideas for dark rooms consist of neutral colors; like white, gray and mushroom walls to improve lighting in darkened rooms. Admittedly, lighter paint colors make your room feel bright. Nevertheless, a lot of colors, irrespective of how light they are, absorb light. Choose a light color that reflects, and doesn’t absorb light. Add warmth with rich neutrals like camel tan, warm rust colors, mushroom gray, espresso brown. Add splashes color to your room by painting your trim or ceiling a different color; warm floors, sky blue ceiling or black trim. Tan, whites and neutral paint colors are also versatile decorating color schemes. They’re the perfect contrast if you have heavy wood furniture, dark wood floors, and doors. Darkly painted ceilings or Wood paneled ceilings absorb a lot of light. They also add drama and style. So, they’re a keeper; but this is about getting more light. If you have dark ceilings, avoid dark floors and dark walls. You may get away with one, but not both. Adding a skylight is an option but do this cautiously as it can take away from your existing architecture. If you dislike your dark ceiling, have it repainted with a light color or white. Add recessed lighting fixtures if possible. They add light to dark ceilings without ruining the character of your dark painted ceilings or wood-paneled ceilings. Dimmer switches will help in controlling the light source. We are seeing a trend of this kind of lighting being implemented under and above your roofline guttering. Contemporary guttering systems such as extruded aluminium gutters would be best suited for this kind of effect. Nobody likes for a tree to be cut down needlessly, but sometimes tree removal is necessary. Any situation where a tree has become a safety hazard is grounds for removal. A tree may also need to be removed for practical or aesthetic reasons. It is then time to consider hiring a tree surgery company. There are times when trees are going to die. There are also times when trees might get rotten or interfere with the rest of your landscaping and blocking sunlight from lighting up your home. Consequently, when all these things take place, it is not likely for you to let the trees remain where they’re which is around your house. This is when tree surgeon company Centaur Tree Services would come in very handy. The most daunting task after a tree felling is cleaning up the mess in your yard. After a tree removal debris such as leaves and branches will be all over. Cleaning up the remains is a challenging task especially if you’ve to move massive branches and trees. A reliable junk removal service should have the necessary equipment for moving heavy debris. The patio has been one of the most decorated areas of a house for years; people just love decorating their patios with lovely ornaments to set a certain mood and enjoy great outdoor times with the rest of the family. Even simple activities such as reading books or enjoying outdoor dinner can be a lot more exciting when you have a lovely patio with a great ambiance that goes along with it. To create a certain mood, you will use patio lighting to help you. 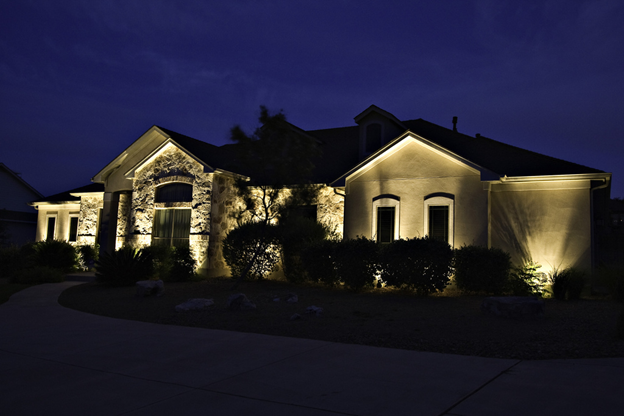 This kind of outdoor lighting comes in different types, shapes, and of course colors; there are virtually countless possible combination of patio lights and other elements that will surely make your patio a lot more enjoyable and attractive. When it comes to home lighting, the use of designer fixtures and features can add a dramatic and attractive aspect to the house, both complementing the interior layout and providing functionality where it is needed without compromising on attractiveness or the interior spaces’ decorations. Many professionals are now available online, to help with the creating and designing functional aspects of uniquely created lighting for any home. These artisans have a wide range of material, colors and styles to choose from in helping to design that perfect illuminating piece and the creations of uniquely beautiful, individualized work that designed lighting can provide. It is easy to see why it has become such a popular choice when it comes to home decoration and the use of lighting within the different spaces within a house. As with all home improvements, do a little planning first before you rush out and buy your lighting products.